Fthiotida is located in Central Greece, limited by the Gulf of Evia and Magnesia in the east, the plain of Larissa in the north, the mountains of Karpenissi and Parnassos in the south west. The capital and largest town of Fthiotida is Lamia, built in a strategic position on the outskirts of Mount Othrys, with an important castle and well-preserved fortification offering a panoramic view of the scenic Sperhios valley. Sperchios is the largest river in the region, famous for its Delta, forming an important ecosystem. Also known for its breathtaking natural beauty the Asopos gorge. Within a short distance are Thermopylae, named after the nearby hot water sources and the narrow passages of the region. The area is mainly known for the Battle of Thermopylae in 480 BC. between the Greek and Persian forces. 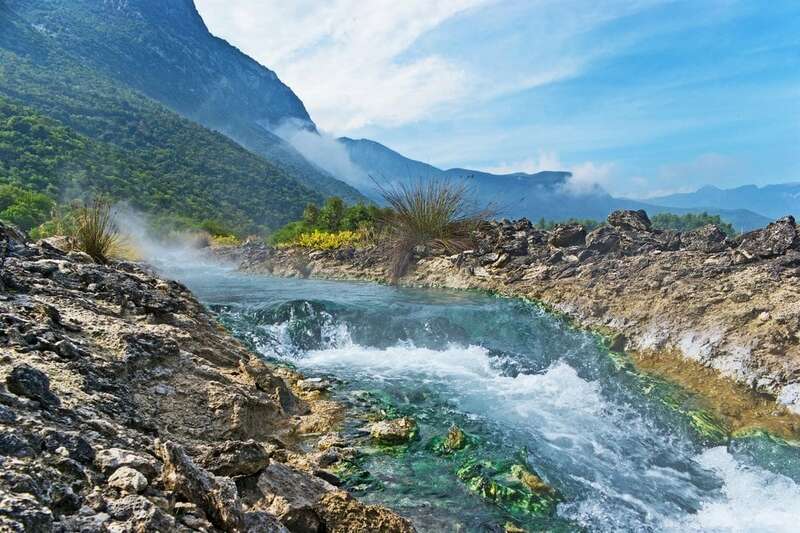 One of the most beautiful towns in the region, combining mountain and sea, are Kammena Vourla, famous for their thermal springs, rich in natural minerals, ideal for the treatment of rheumatic, arthritic and vascular diseases. Also known the baths of Ypati and the thermal spring of Ekkara, popular among the younger people. Fthiotida is one of the favorites regions of Greece thanks to its diverse landscape and to a large range of activities it offers.